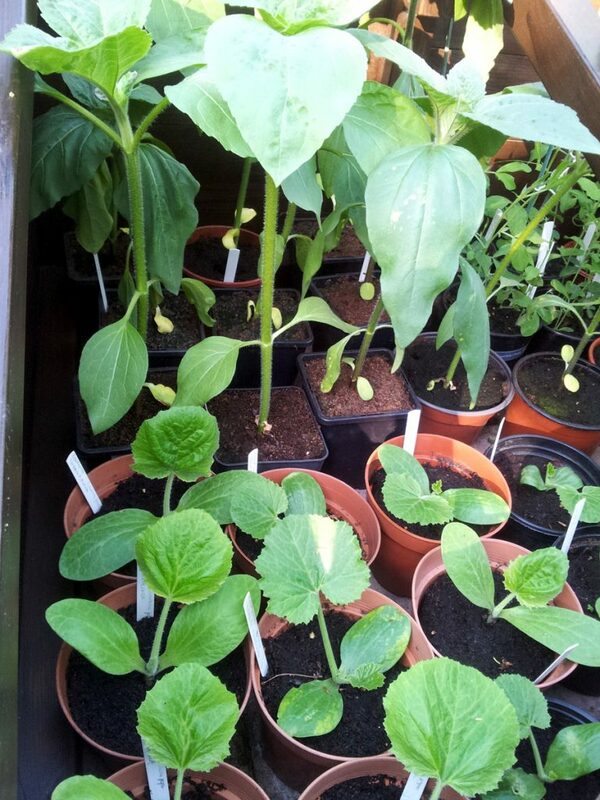 May is a pretty mad month in the greenhouse as the seedling shuffle continues apace. Last month’s sown seeds are shooting like crazy. 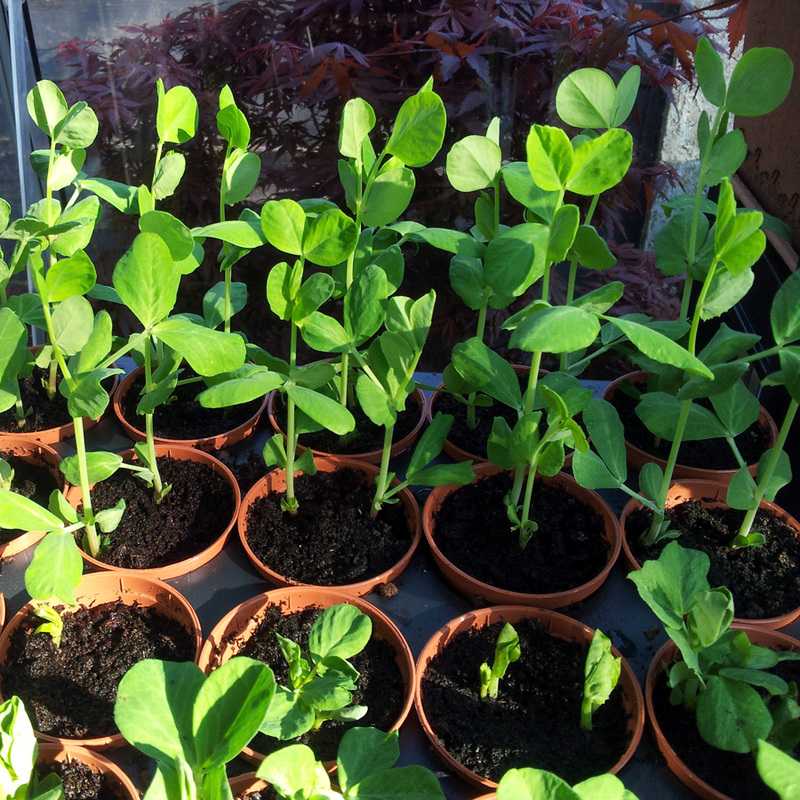 More new seedlings need to be pricked out and potted up daily. 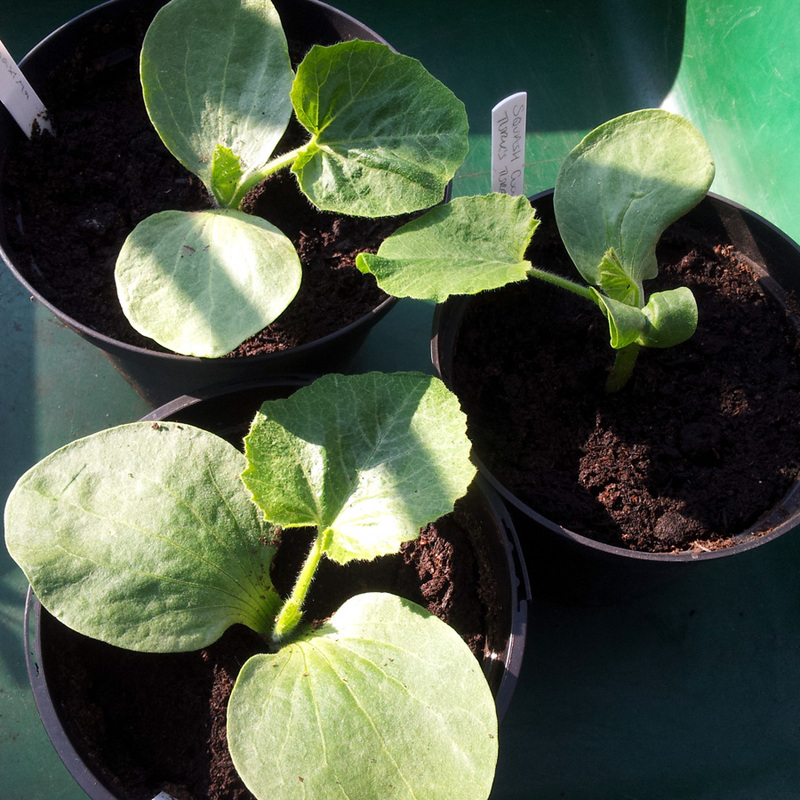 And larger plantlets are outgrowing their starter pots and being potted on at a rate of knots. I’m loving every minute of it. 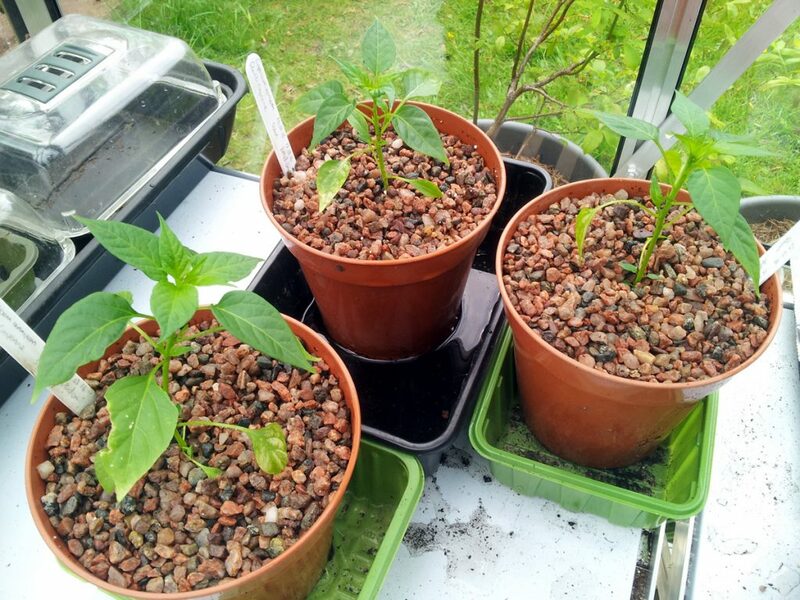 Three chilli ‘cayenne’ potted up into their permanent containers. 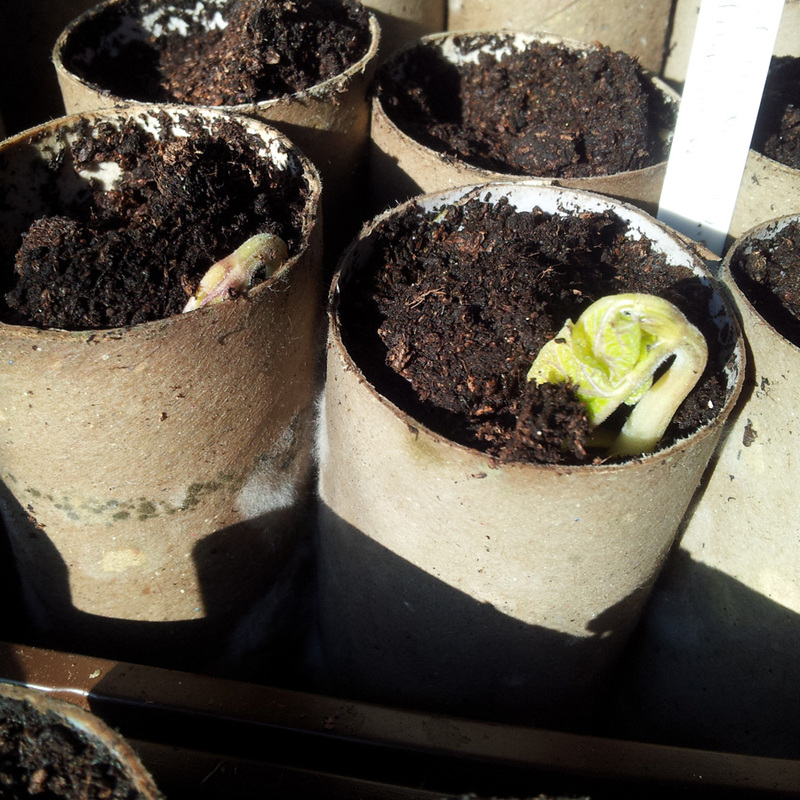 Two tromboncino for the #SuttonsCup, potted up into long toms. 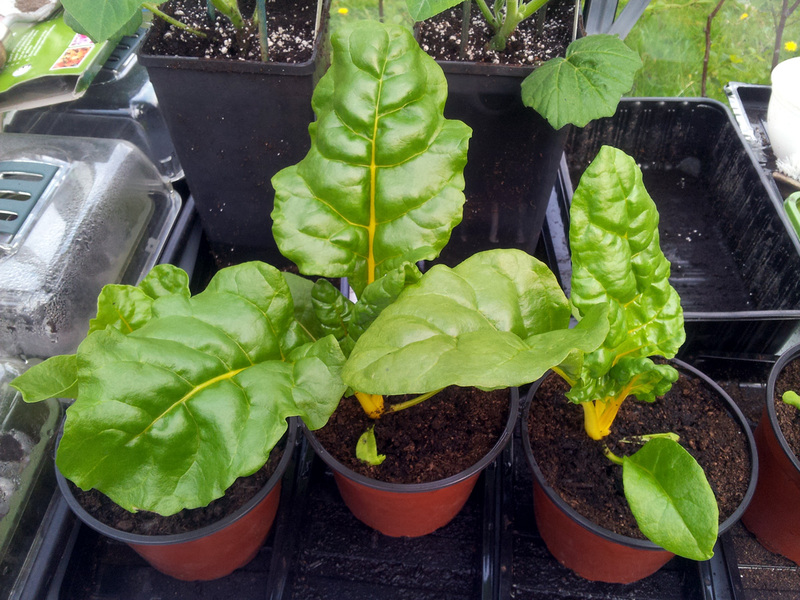 I reckon we might just get a decent Swiss Chard crop this year. 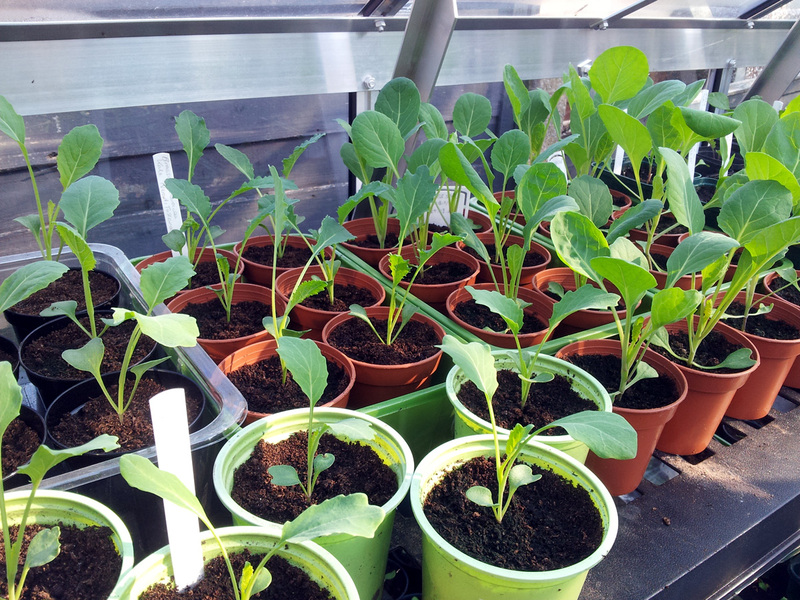 The massed ranks of cauliflower, kale and Brussels sprout seedlings. 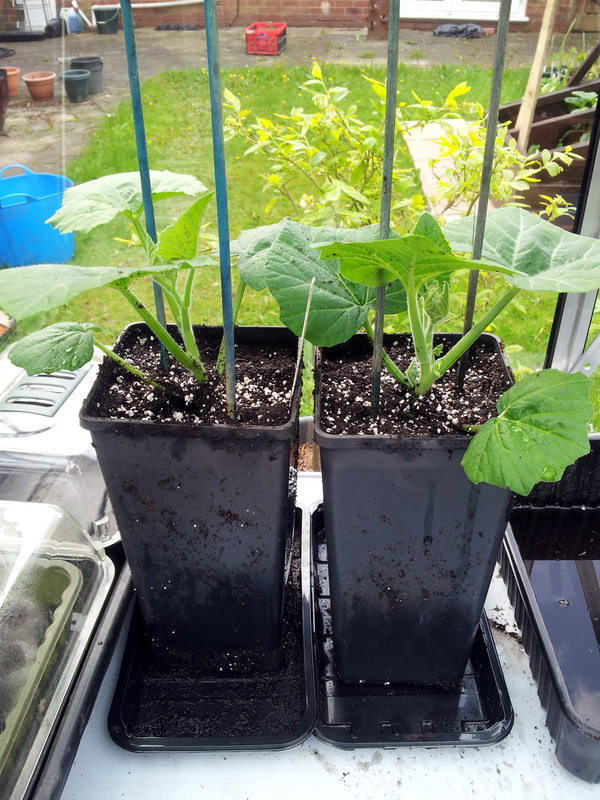 These squash plants look promising. Here’s hoping we’ll actually have a harvest this year. 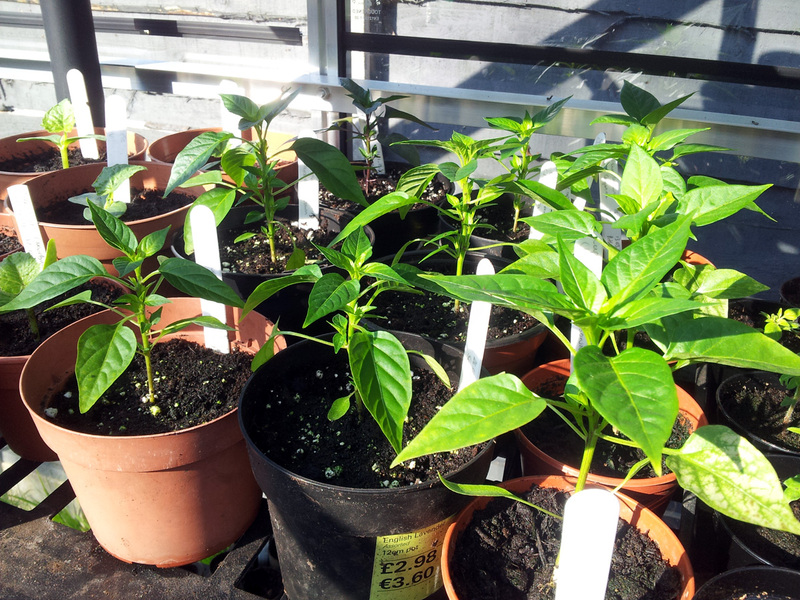 Chilli plants in their penultimate pots, permanent placement pending. Two types of mangetout here: ‘shiraz’ (front) and ‘golden sweet’ (back). To be honest I much prefer your photo gallery to having to read a whole load of text especially at this time of year when things are busy for everyone. You have plenty going on there and give a good impression of what is happening through your photographs.